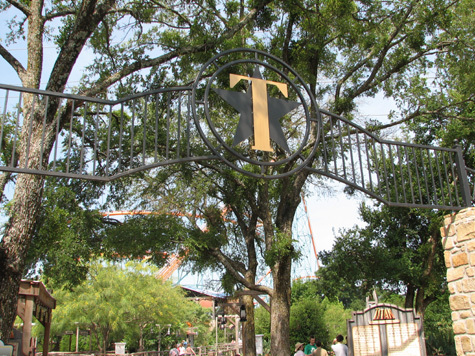 The park's main attractions are the New Texas Giant, Titan, Mr. 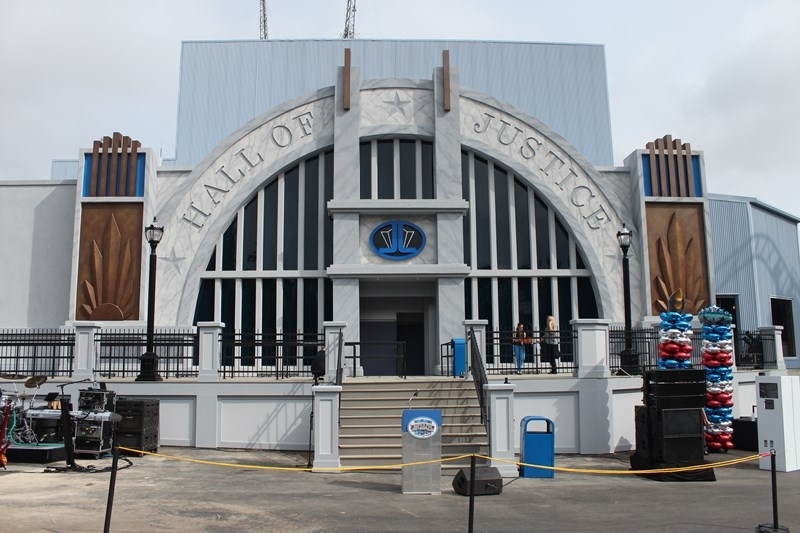 Freeze, Batman the Ride, Superman: Tower of Power and Justice League: Battle for Metropolis. 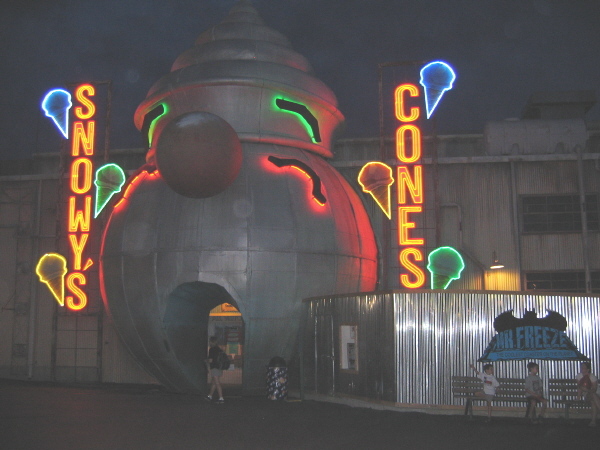 Other attractions that can't be missed are Joker, Shock Wave, The Runaway Mine Train, and Yosemite Sam's Gold River Adventure. For those hot summer days, the park offers three water rides: Aquaman Splashdown (shoot-the-chutes ride), El Aserradero (standard log flume), and Roaring Rapids (river rapids ride). 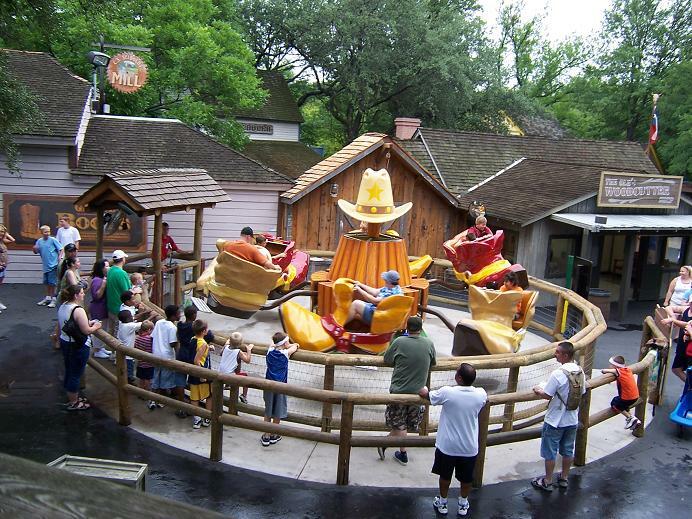 For the little ones, the park features Looney Tunes USA, with the highlight being Wile E. Coyote's Grand Canyon Blaster kiddie coaster. Johnny Rockets is the only chain in the park. Burgers, dogs and chicken can be found throughout the park. JB's Smokehouse tends to get a long line but has some of the better food in the park. Be on the lookout for Bacon Cheddar Ranch Waffle Fries. For the sweet tooth, the park is home to a Cold Stone Limited and Pink Things, a cherry-flavored ice product that has been exclusively served in the park for over 45 years! 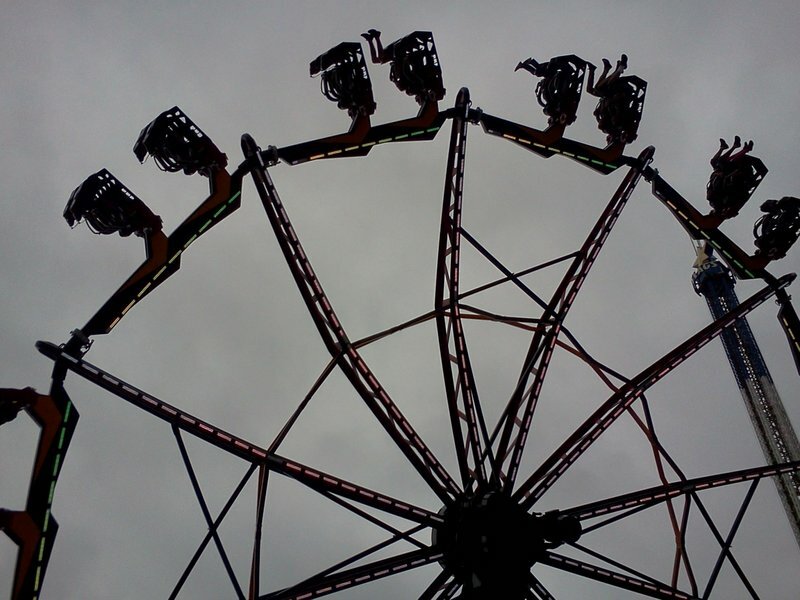 The park holds the annual Fright Fest event during weekends in October and Holiday In the Park, which is held every year from late November through the end of December on select nights. From West Texas: Travel east on I-20 toward Dallas Fort-Worth until you reach the exit for DFW Airport (State Highway 360 North). Travel north on 360 for approximately six miles and take the Interstate 30 (Six Flags) exit on your right. Follow signs to the park. From East Texas/Shreveport: Travel west on Interstate 20 toward Dallas-Fort Worth until you reach the exit for DFW Airport (State Highway 360 North). Travel north on 360 for approximately six miles and take I-30 (Six Flags) exit on your right. Follow signs to the park. From Houston: Travel north on I-45 until you reach I-20. Travel west on I-20 toward Dallas-Fort Worth until you reach the exit for DFW Airport (State Highway 360 North). Travel north on 360 for approximately six miles and take the I-30 (Six Flags) exit on your right. Follow signs to the park. From San Antonio/Austin: Travel north on I-35. When you get to the city of Hillsboro, I-35 will split. Take I-35W North until you reach Interstate 20. Travel east on I-20 toward Dallas-Fort Worth until you reach the exit for DFW Airport (State Highway 360 North). Travel north on 360 for approximately six miles and take the I-30 (Six Flags) exit on your right. Follow signs to the park. From Oklahoma City: Travel south on I-35. When you get to the city of Denton, I-35 will split. Take I-35W South. Travel south on I-35W until you get to I-30. Take I-30 east toward Dallas until you get to exit 28 (Six Flags). Follow signs to the park. From Texarkana/Little Rock: Travel south on I-30 toward Dallas-Fort Worth until you get to exit 30 (Six Flags). Follow signs to the park. Access to park by bus is available through Greyhound. A trolley service is also available with participating Arlington hotels. There are several lodging options within minutes of the park, including Holiday Inn Express, Sheraton, Days Inn, and Howard Johnson. There is also a LaQuinta Inn, which is located adjacent to the park and is within easy walking distance to the front gate. The park does offer the Flashpass electronic queuing system, in both regular and "gold" versions. 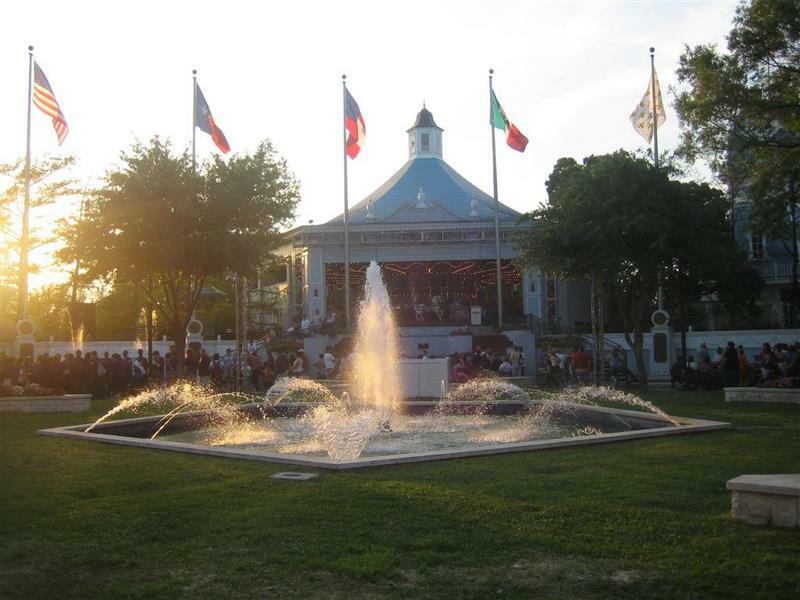 The park holds concerts at the Courthouse Stage in the Texas section of the park. For the kids, there are also meet-and-greet opportunities with the Justice League and characters from the Looney Tunes. 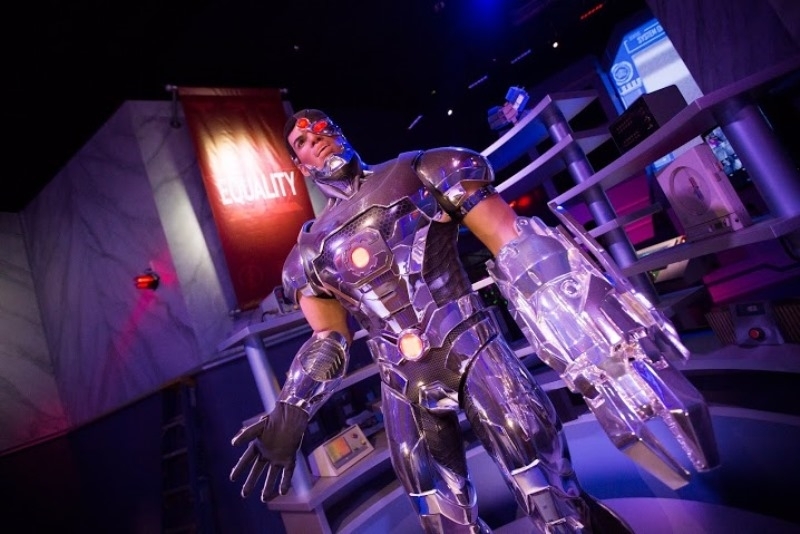 The original Six Flags park stands out as one of the best balanced parks in the chain for its thrill rides, efficiency, theming, and ride variety. 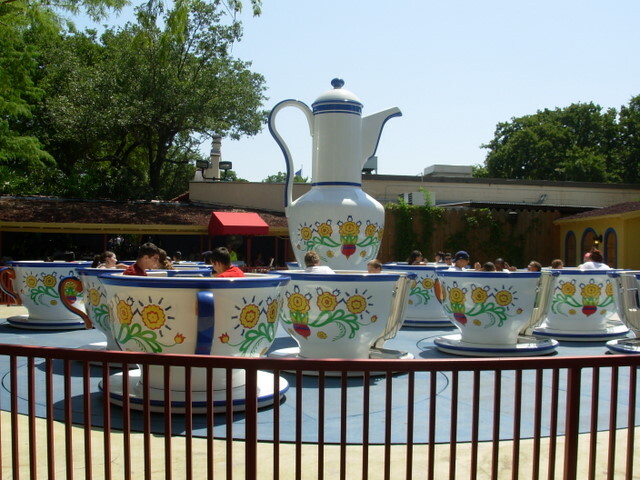 Along with typical franchise food vendors found in all Six Flags parks, SFoT still retains some of their own traditional offerings. 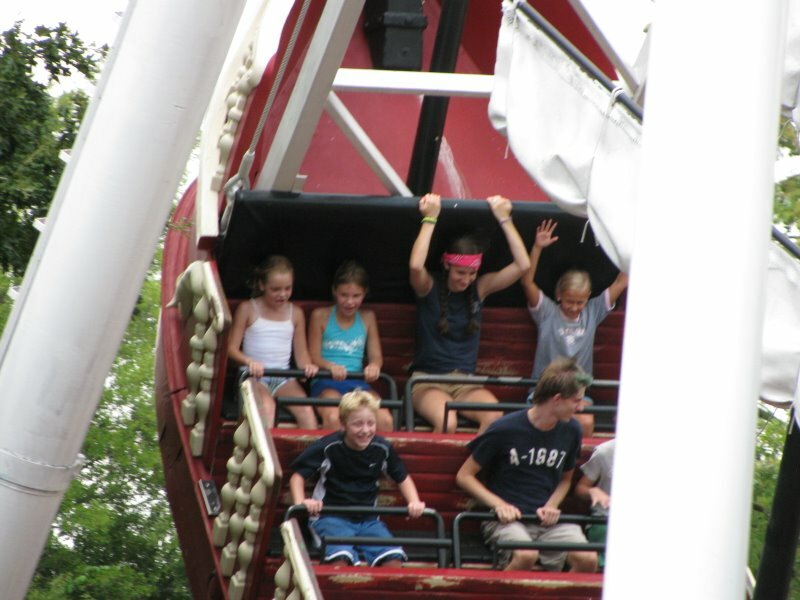 Many of the coasters and flat rides are family firendly with 42" height requirements, allowing families to ride together. Between this and Magic Mountain, I definitely choose this as the best Six Flags park I have went to. It combines some good coasters with a good collection of flat rides. 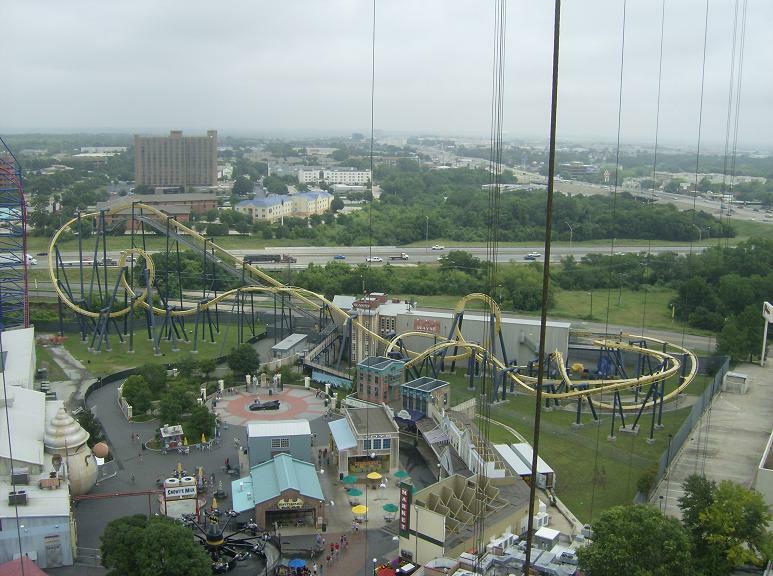 Even though New Texas Giant and Shockwave were both closed, I had some good rides on Titan, Batman: The Ride, and Mr. Freeze: Reverse Blast. The food there is your basic park food, but that is all fixed when you try the Pink Thing. Even if the weather can get blazing hot, you are alright with the shaded areas and the good amount of water rides. 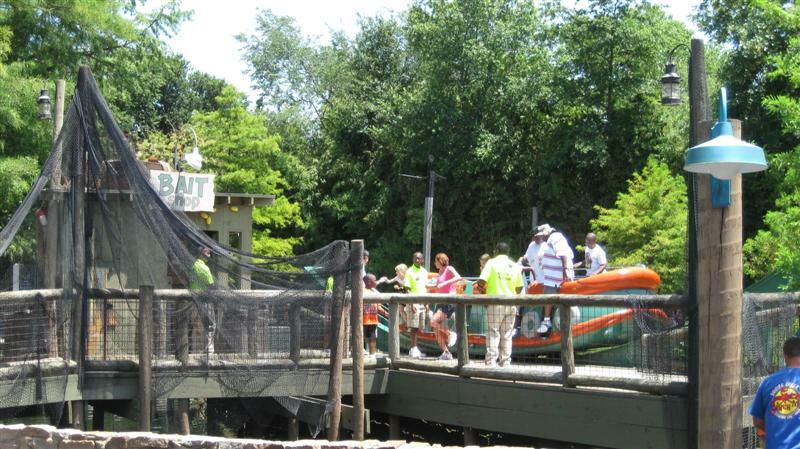 Although, the big downside to the park is the operations as they can be very slow with many one train waits. 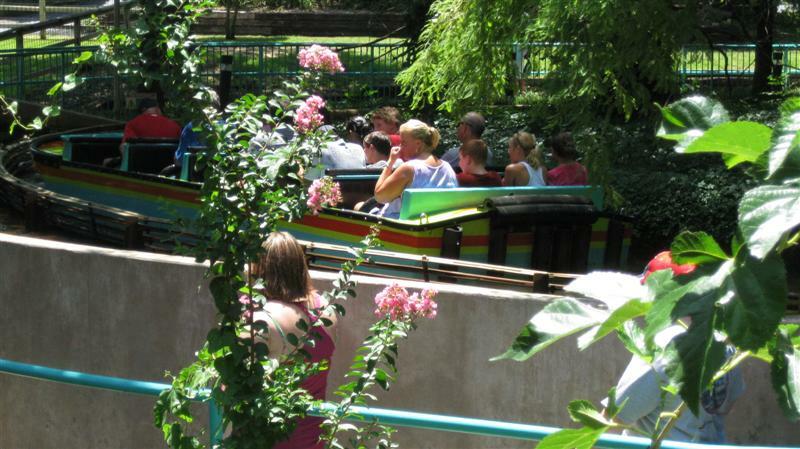 Overall, if you are expecting a good time at a Six Flags park, you came to one of the right places. 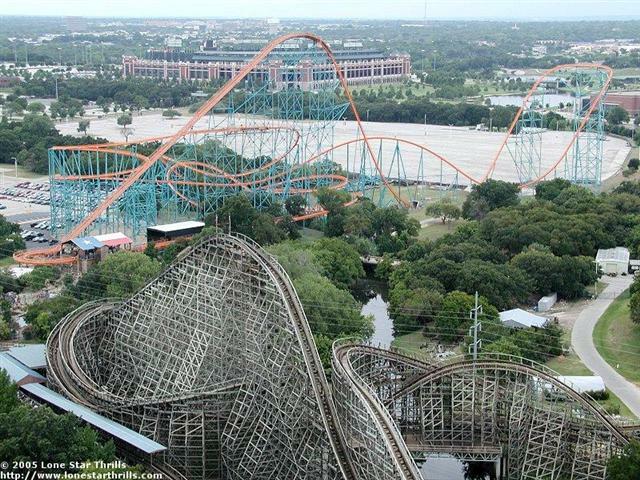 Six flags Over Texas is one of the best Six Flags parks there is. The New Texas Giant is a must ride along with the Titan. 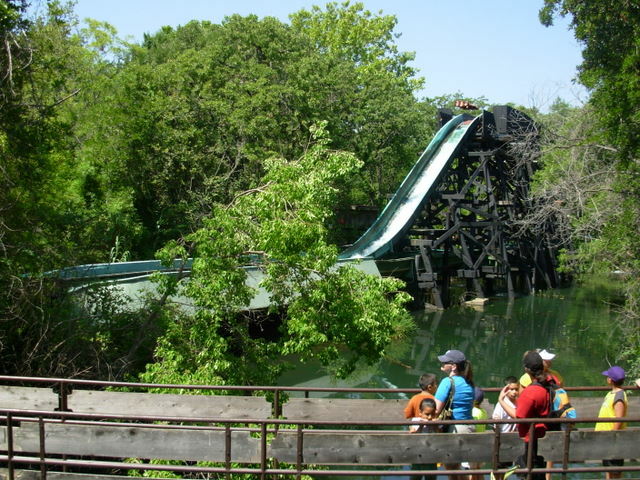 Although the Texas heat is insane the park has a great mix of water rides to cool you down! 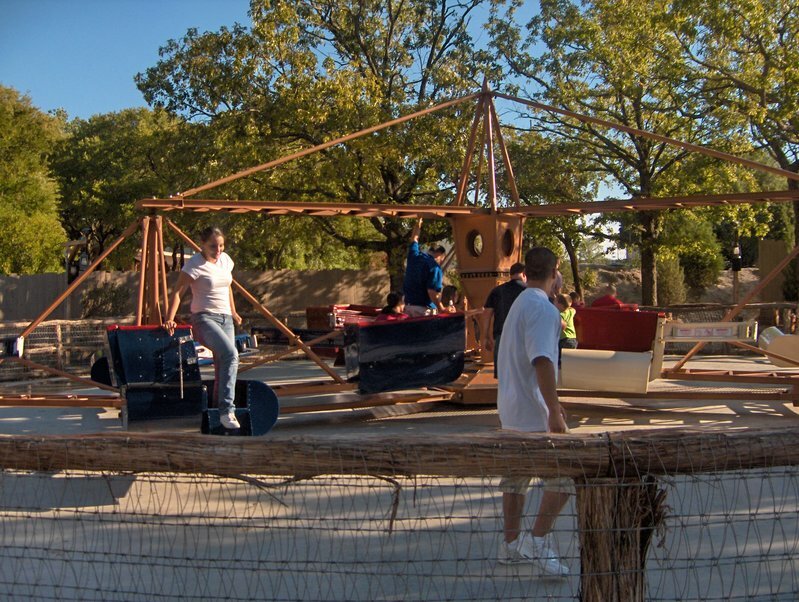 The park has rides for people of all ages to enjoy! lets hope they have big plans for the 2015 season as rumored! 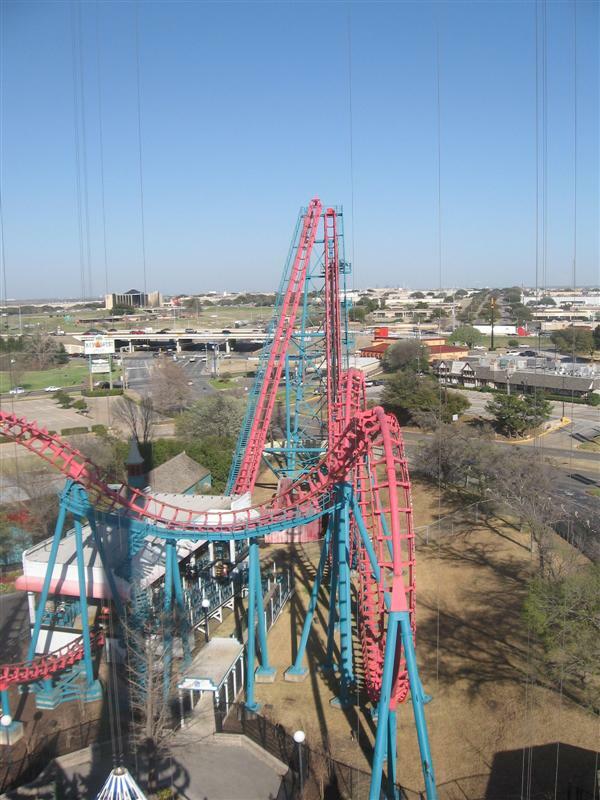 Six Flags Over Texas truly stands out as the best park in the chain in my opinion. 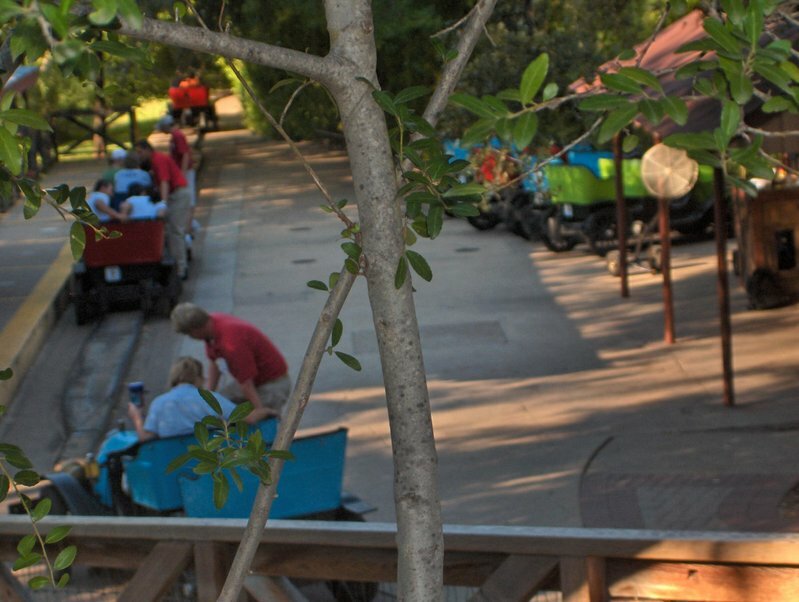 With an amazing variety of rides and attractions there is something for every age group at this park. 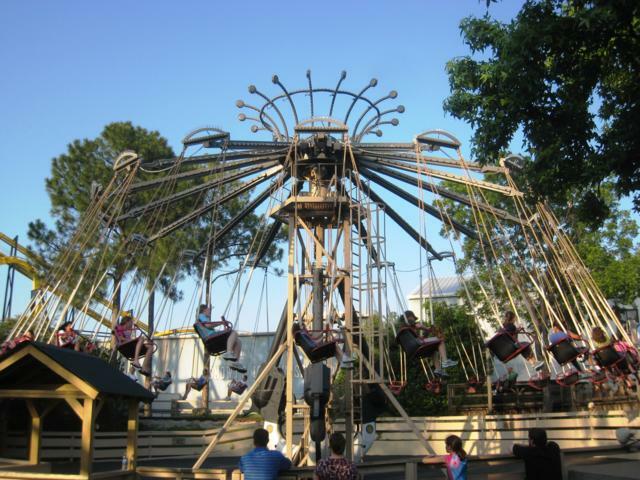 The park has several thrill rides, family rides, Children rides, and great family friendly shows. This park has everything in one. Highly recommend visiting if you haven't yet. SFOT truly stands out in the chain. A great blend of new and old, this park has maintained it's charm and ambience but kept up with the times. While families will find plenty to do with SIX family coasters, thrillseekers will appreciate the big-boy coaster collection. Mr. Freeze packs a serious punch, Batman is solid as always, and Shockwave is one of the finest classic Schwarzkopfs. Titan is as about as intense as hypers come. New Texas Giant is simply mindblowing. 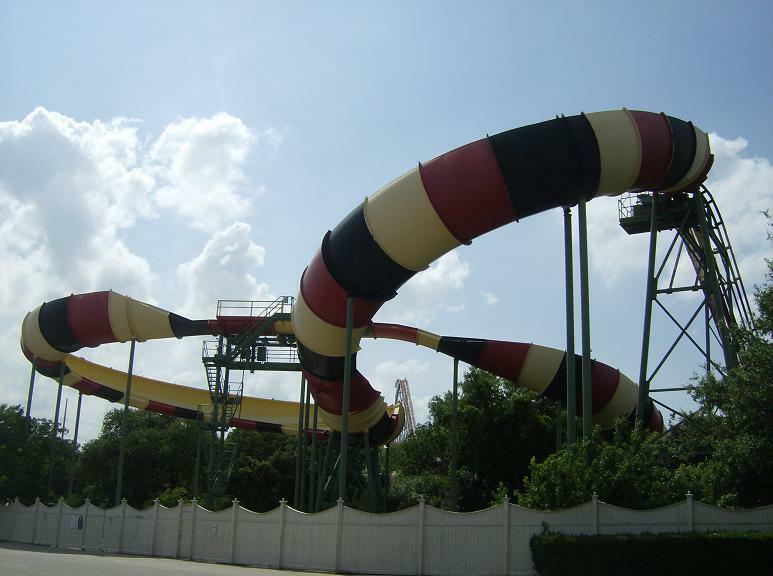 A great collection of flats and water rides, including a spunky flume, a cute dark ride, and the awesome Superman, round out the offererings. 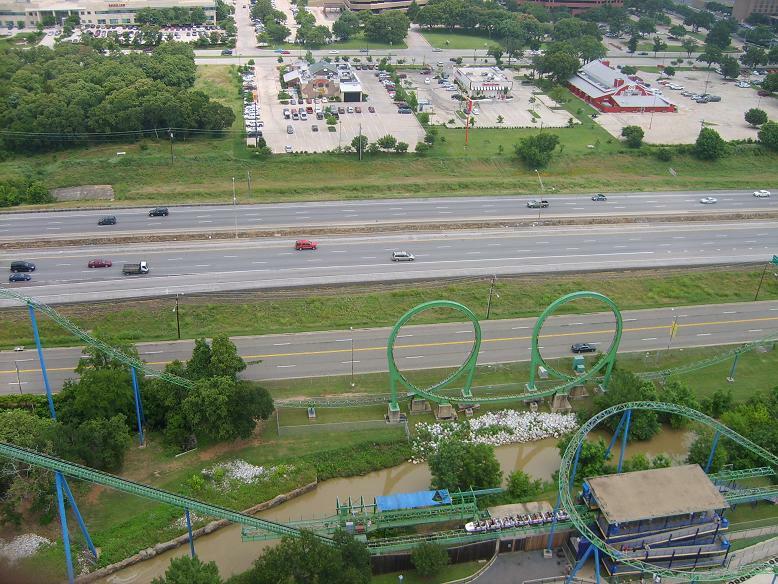 The operations are miles above most other Six Flags parks. 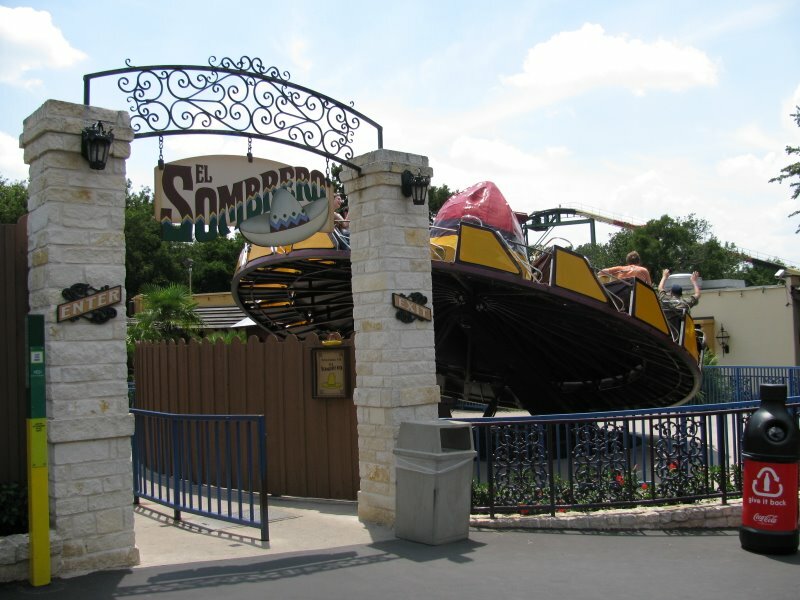 The park also does a good job of shading guests which is important in Texas! 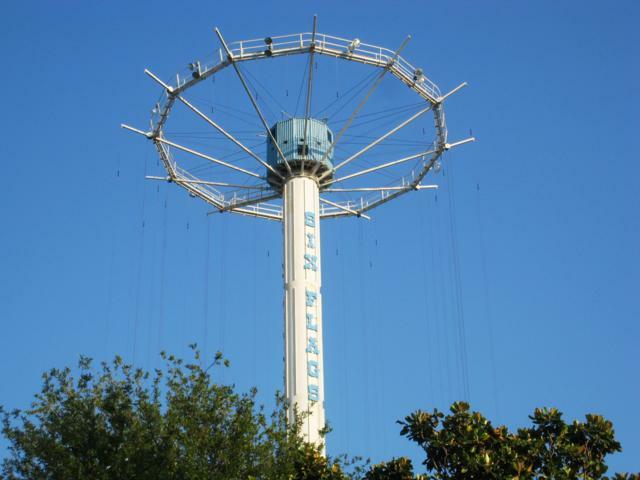 Six Flags Over Texas is an outstanding park!!! Filled with a lot of firsts. Superman made the trip worth it, however Titan, Batman, Mr. 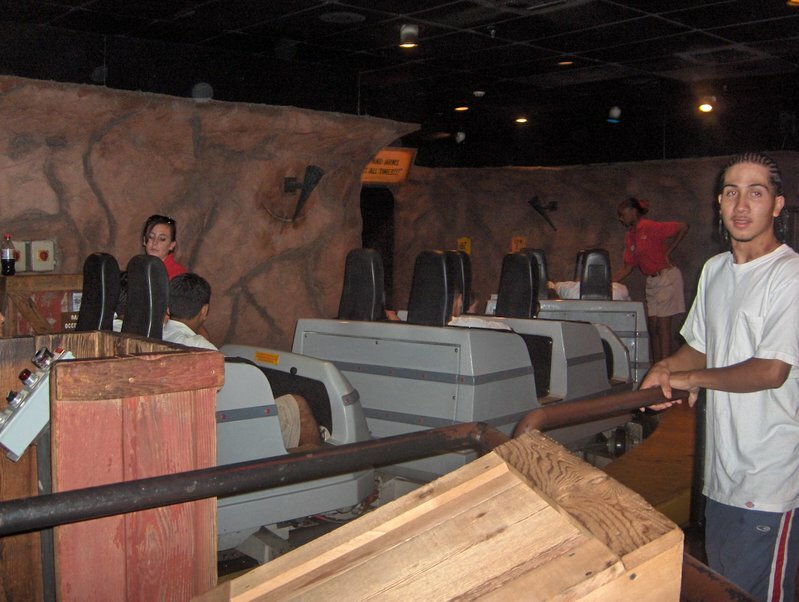 Freeze, and Texas Giant are all great attractions. The park has plenty for the little ones as well. La Vibora is very unique and great for families. This park is a great park to spend a few days. 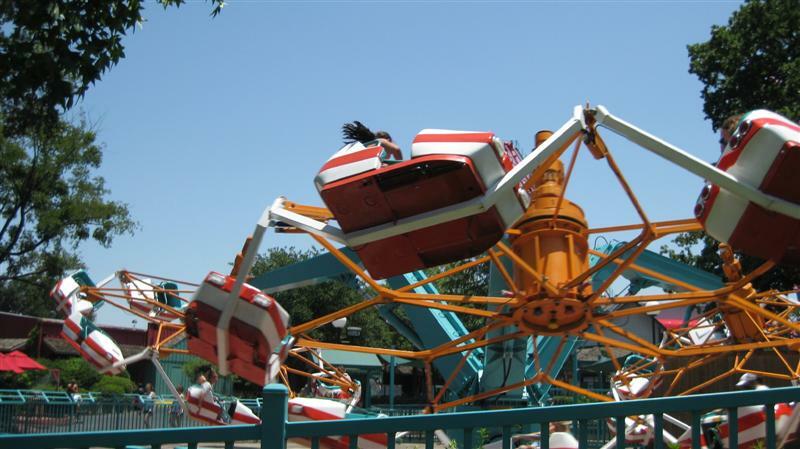 Six Flags over Texas is packed with originals and first of their kind rides. 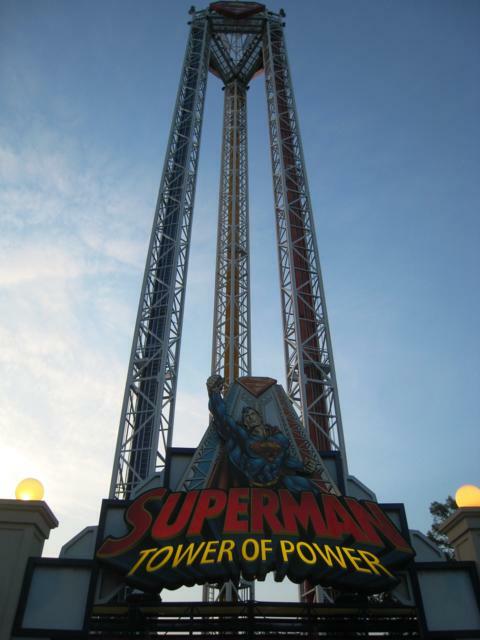 Superman Tower of Power is an awesome S&S combo tower and is the tallest that has been built. 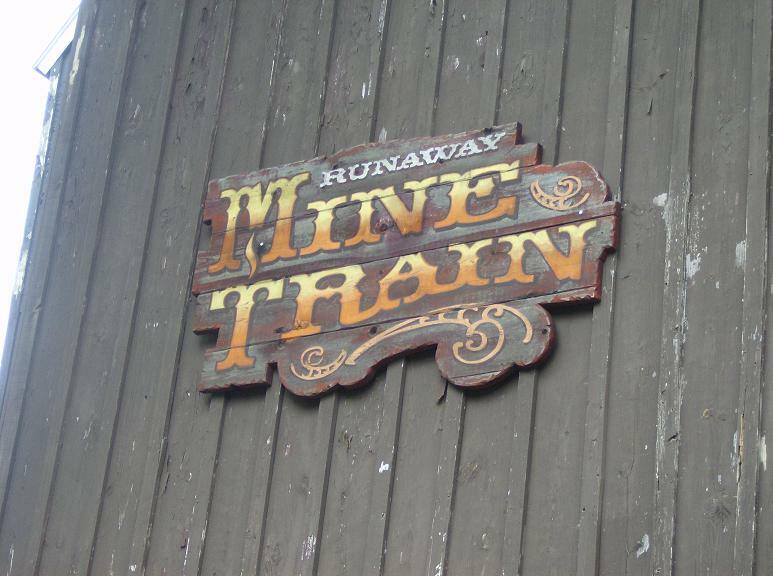 The mine train is a must as is Arrow's first log flume. 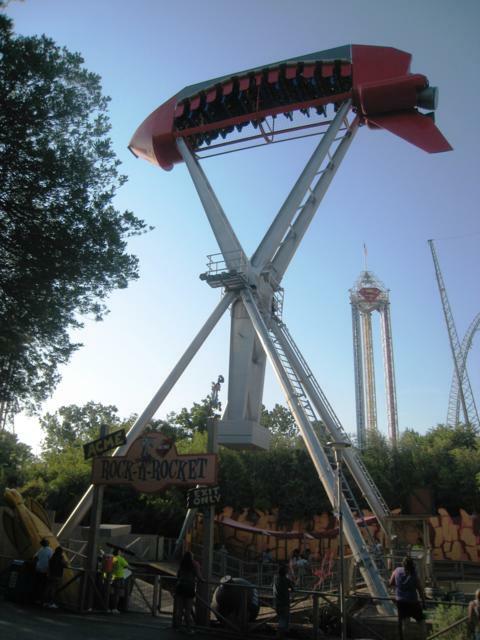 Another first comes courtesy of Rocky Mountain with the redesign of the Texas Giant which delivers an El Torro like feeling. Stop by during Chistmas time for some of your favorite foods like skillet burittos, fire pit smores, and deep fried Oreos and Snickers. The first. The original. Possibly one of the best. This park has a great selection of Steel coasters- Titan, Mr. Freeze, Batman, Shockwave. 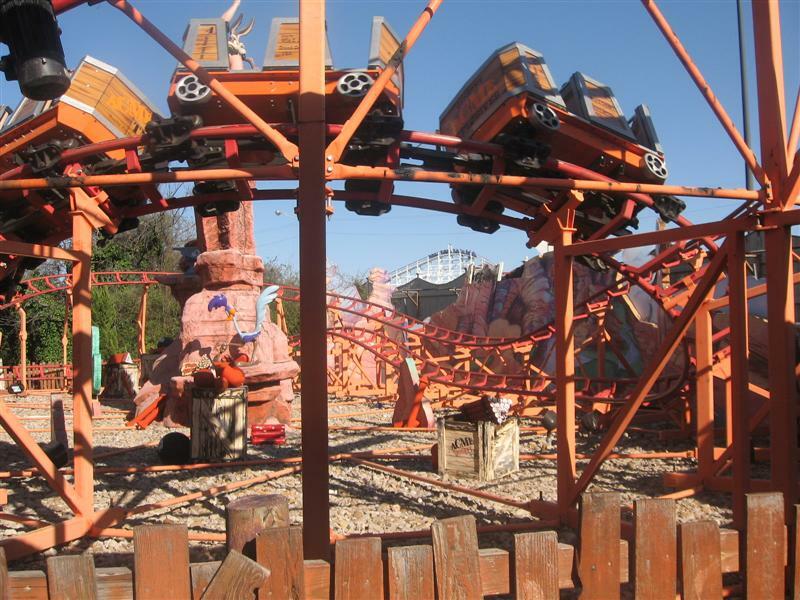 It also contains the BEST hybrid coaster ever- New Texas Giant. It is smooth and airtime bliss. The park is very nice and has decent flat rides, too. Great for families. And hey, we got free tickets, so all the better! This is where it all began, and it's one of the best in the chain. 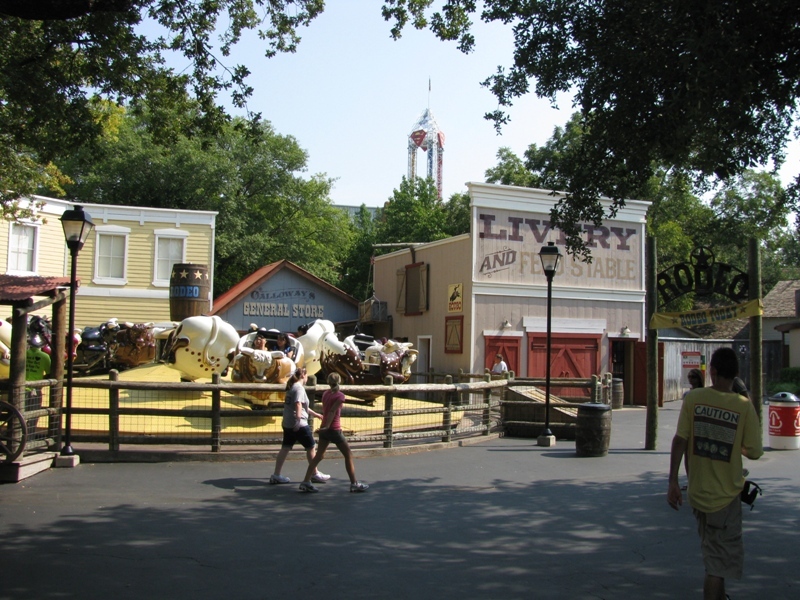 A Texas-sized with nice theming, though a bit generic, and a large coaster collection. New Texas Giant is an amazing coaster that hopefully will spread around, but it is an amazing structure with great airtime, overbanked turns, and trains! Shockwave is the best Schwarzkopf I've ever ridden (back is amazing). The other coasters aren't quite as thrilling, but give good rides. 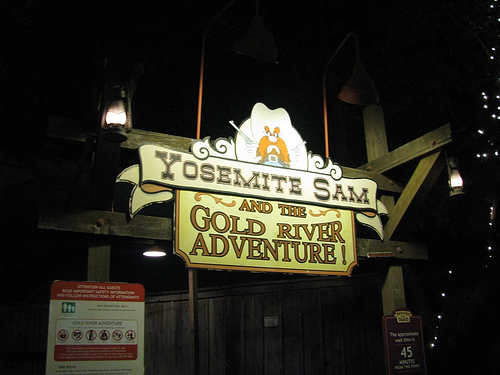 The original Mine Train and Log Flume are still tons of fun. BBQ is very tasty. Atmosphere is nice, but paths can get very crowded. 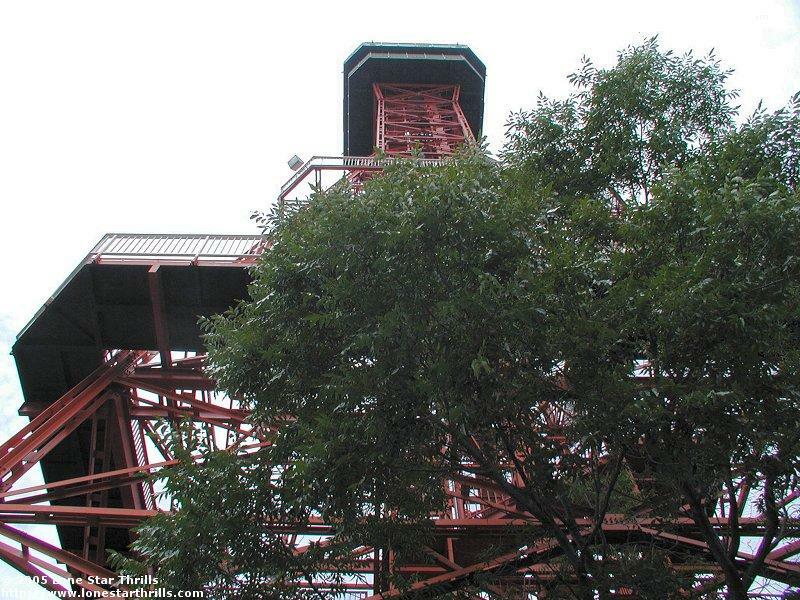 Has a good deal of family attractions, and rides not usually at 6 Flags, like the observation tower. A great park overall. This is definitely, without doubt, the best theme park within the Six Flags chain. Unlike it's other struggling sister parks, the management of SFOT go above and beyond to create and operate a family friendly park, or in simple terms it's so EPIC you forget that this is a Six Flags park. This is probably the most well-rounded Six Flags park (the Georgia park is a close second). 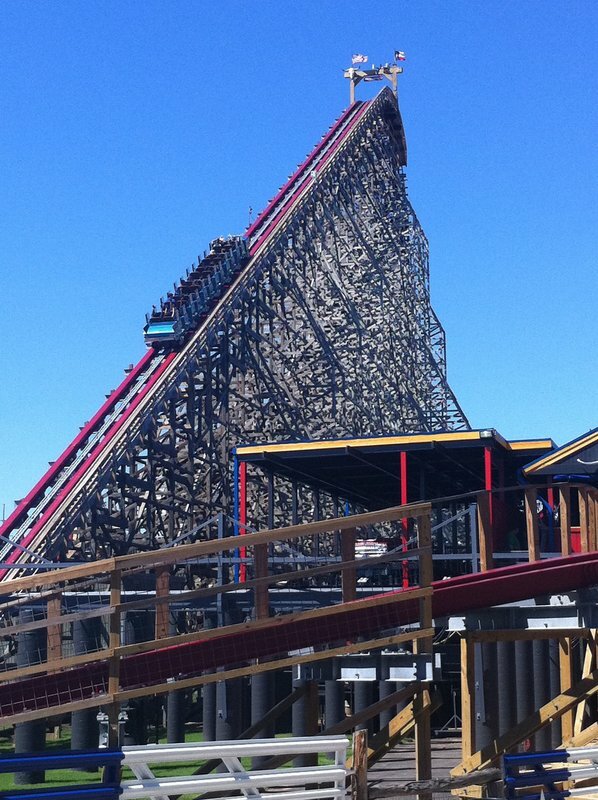 The New Texas Giant could be the best coaster in the entire chain, and the rest of the ride lineup is pretty solid. Couple this with good theming (particuarly to the Old West) and a good collection of rides for families and kids (including a fun, if somewhat outdated, Looney Tunes dark ride), and you have an excellent park. On a summer weekend, crowds make a Flash Pass a must. The first Six Flags park is definitely a good one. Although it's not particularly large it packs a lot in, offering 13 coasters, lots of flats (including a wide selection of kids rides), and a few shows. It has a somewhat odd layout, and the northwest area of the park is easy to get lost in. Gotham City and Goodtimes Square are removed from the rest of the park making them a chore to get to on busy days or when you're tired. This corporate park manages to maintain a unique, "classic" charm. Throughout all the 14 years I've visited SFOT, I've never had one bad experience. While operations can be slow, the park has many good shows and restaurants. The park is usually very clean. Being one of the first "theme parks", SFOT has an impressive amount of well-kept theming. 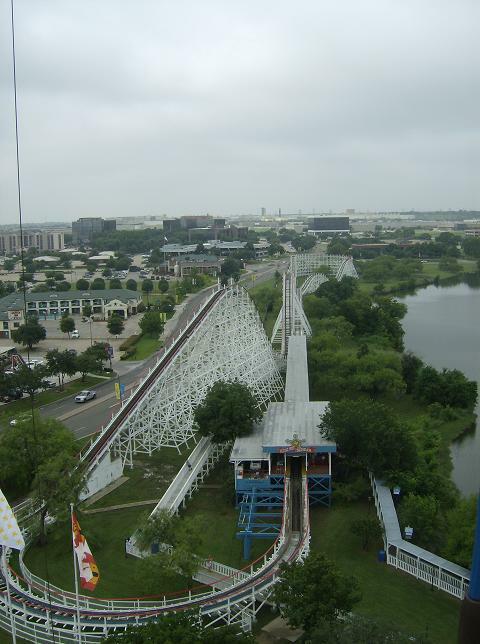 The park is also home to some outstanding coasters, such as Titan, Shockwave, and the New Texas Giant. SFOT has installed more mister fans and a lot of shaded areas for those hot summer days. Well worth the trip! While it doesn't have a huge collection of 'extreme' coasters, the ones they do have at SFOT are of a pretty solid quality. 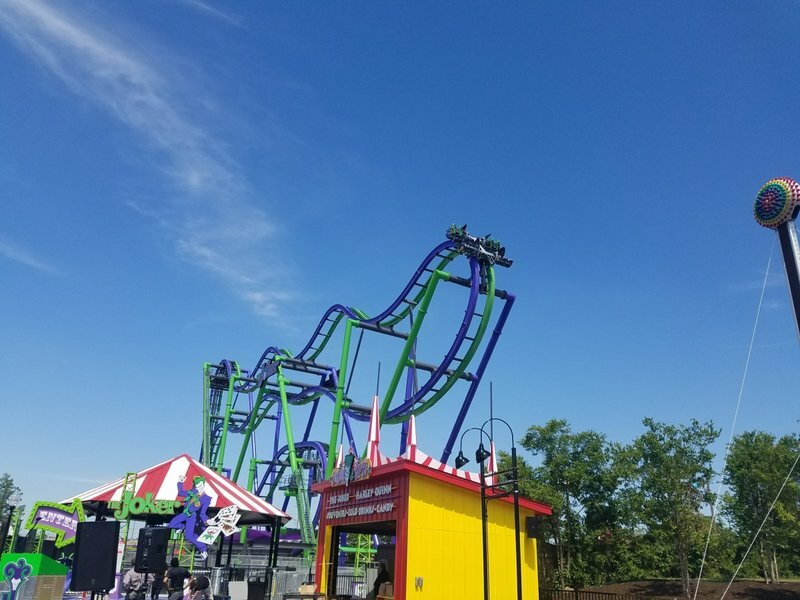 There is a Schwarzkopf looper that the park takes pains to keep well-maintained, the Titan mega coaster, and the much-discussed New Texas Giant wood/steel hybrid, plus a few more. Lots of family and kiddy rides, and welll-exceuted shows make this a solid park for the entire family. The park overall is not as shabby-looking as others in the chain, which is another plus. I've spent three very hot, but very exciting days at SFOT. Titan, Shockwave, and BTR are my favorites of what is by far the best coaster collection in Texas. Also, this is one of the few Six Flags parks with a good dark ride. Though I don't feel that SFOT quite measure up to other big SF parks such as SFOG or SFGAd in terms of setting or thrills, but it's a very well rounded park. 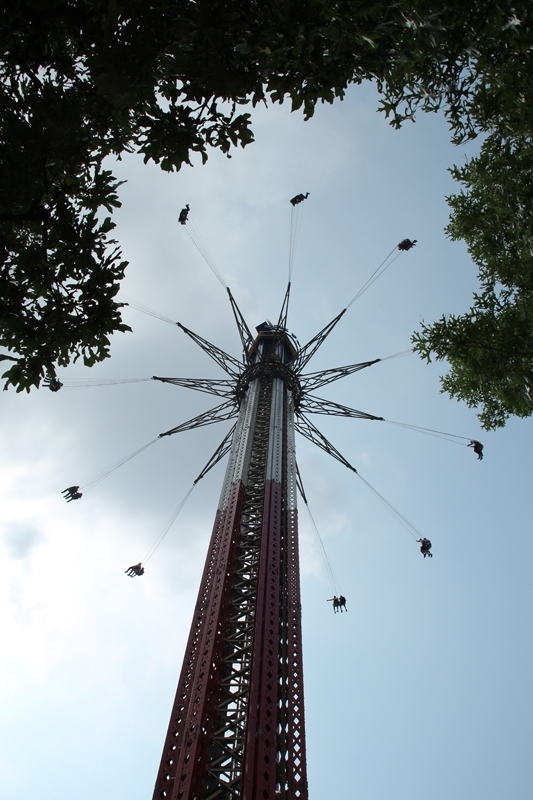 Six Flags Over Texas is certainly one of the best Six Flags parks in the chain. They do have a great collection of roller coasters as well as other attractions. 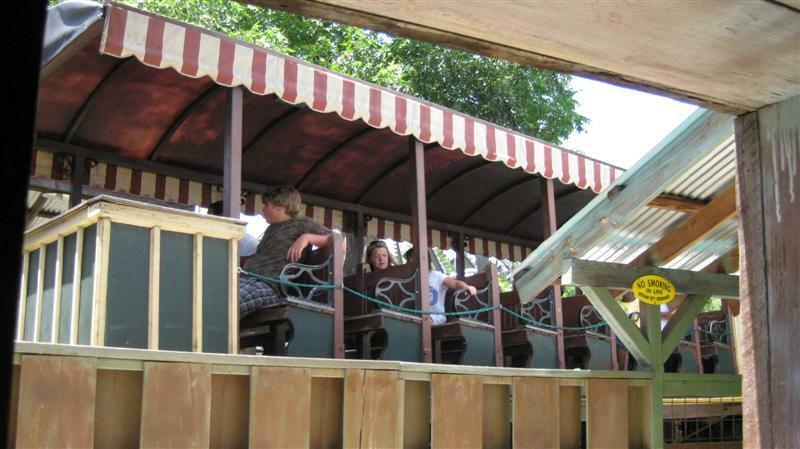 Make sure you ride the world's very first mine train and log flume rides. Do not miss Shockwave! Be warned that if you are not used to Texas heat that you take precautions. Drink plenty of water! 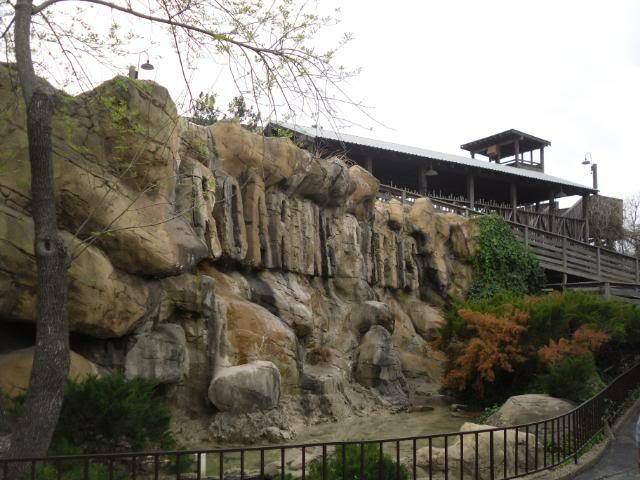 Corporate Six Flags park that still retains Texan charm and hospitality. 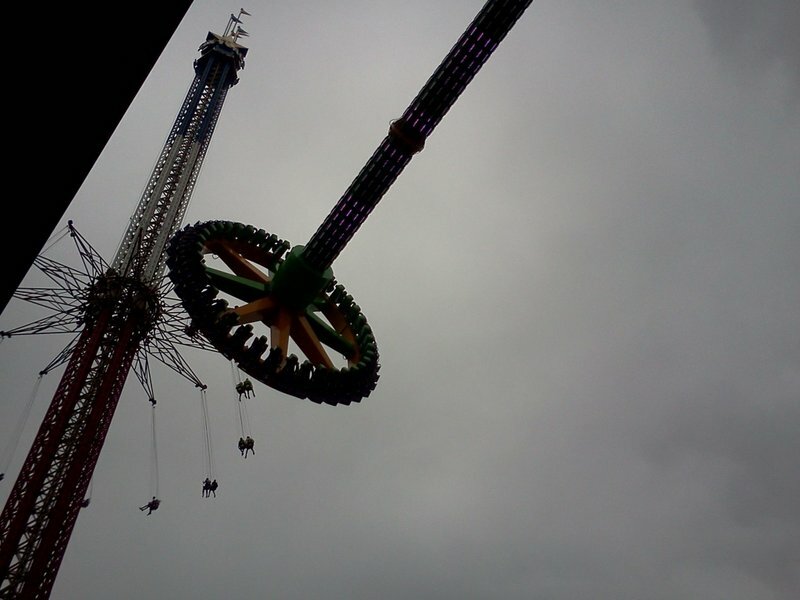 Good mix of thrill and family rides. Saturdays can get VERY busy!